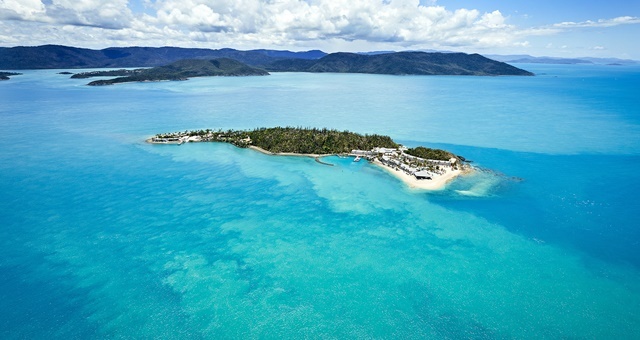 Daydream Island will relaunch in April, unveiling a new look, premium resort. Aussie actor Lincoln Lewis – son of rugby league Immortal Wally – has signed on as the Ambassador to Daydream Island ahead of the Whitsundays’ island’s reopening on 10 April. The self-confessed eco-warrior and sustainability advocate will road-test all of the eco-attractions to soon be available at the resort’s headline Living Reef attraction. Lewis will work with the resort’s team of marine biologists to help spread the word on marine research and reef conservation. Experiences open to guests at Daydream Island through the Living Reef include stand-up paddle-boarding, jet skis, snorkelling and helicopter tours. Lewis said he was excited to be representing the island, having spent holidays there with his family in his younger years. “I’m stoked to be working with such an iconic Australian holiday destination, really being able to explore the very best of the Whitsundays region. Two years ago, Lewis was named a Tourism Australia Ambassador to lead campaigns targeting youth travellers. He is most well-known as an actor on Aussie TV shows including Home & Away, House Husbands and Underbelly.